The 2005 from Cheval Blanc is a quintessentially elegant, beautiful, deep bluish/ruby-colored wine from St.-Emilion, with raspberry, blueberry, and floral notes, impressive density, great precision, freshness and purity. Full-bodied, but extremely light on its feet, I don’t mean to gush, but it is super-intense, rich and just so meticulously crafted! This is another fabulous wine and a perfect expression for this vintage. It is difficult to forget the gorgeous blueberry and raspberry fruit, full body, sweet tannin, a multi-layered texture, and purity and palate presence of this stunning wine. Drink it over the next 20 years. P.S. In 2005, this was 50% Cabernet Franc and 50% Merlot. The Château Cheval Blanc 2005 has an intense bouquet, one that is more complex than Ausone with a slight marine influence infusing the blackberry and raspberry fruit, hints of wilted violet and cassis surfacing with time an joining the chorus line.. The palate is beautifully balanced with filigree tannin. It feels linear at first and then fans out marvellously with a bravura finish that lacquers the mouth. There is clearly quite brilliant precision here, impressive length and poise with a touch of salinity on the finish. 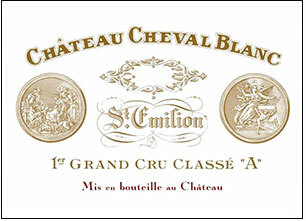 What a spellbinding Cheval Blanc, a Saint Emilion that is just going to get better and better with each passing year.